Far from being a darling of the alt-right or secretly promoting fiendish racist ideology, the largest contradiction in Jordan B. Peterson’s sprawling intellectual enterprise is simply the notion that capitalist classical liberalism is the only game we can successfully play on Earth, even as it contradicts the depths of Christian symbols. Now, this is not intended to be a hit-piece on Dr. Peterson. I have listened to him since the fall of 2016, and he has radically shaped the way I view the world. He is one of the only people on the North American continent I would consider to be a true intellectual. But in the dregs of hero worship, it is too tempting to simply nod along with all that he says. Why wouldn’t I? He is far older, far wiser. But he is also in the archetypal position of ‘dead father’. He represents the golden sphere of the knowledge of both the ancient past and an intellectual development amid the dynamics of the Cold War. In order to effectively embody the spirit of the son, who resurrects the archaic tradition and redeems the blindness of his father, I must pry where there are cracks and make known the fact that no human being is infallible. In fact, if we believe that any human being has secured the total truth on any subject, then every successive generation is an unnecessary appendage insofar as they seek to develop that subject. The son who is incapable of surpassing the father signals the death of humankind, the end of evolution. As such, I must now bring rhetorical wounds against a man who is simultaneously master, bulwark and gatekeeper. I attended a New York City talk delivered by Dr. Peterson, where much of his worldview crystallized. He explained that the Soviet Union and the West were engaged in a spiritual war over which type of ‘game’ is tenable to play. He concluded that the system of Western capitalism, built upon Enlightenment and mythological foundations (we will return to the mythological) was objectively superior to the Marxist rejection of hierarchy and obsession with central planning. Human nature, so it goes, aligns with the liberal capitalist mode of production. But Dr. Peterson has made one profound oversight. It is precisely this: capitalism and classical liberalism have destroyed myth. The technological revolution, and the transformation of communal, local bonds of people with shared values into rent-seekers, wage-searchers and otherwise atomized, separate individuals united only by the search for profit, has destroyed the original foundations of human wellbeing. Economics has completely seized and determined culture. Peterson’s notion that economic success equates to playing a good game, or otherwise participating in the good, ultimately leads to a world defined by Bezos, Zuckerberg, and Trump. The dominance hierarchy is a point of massive spiritual contention. How can the dominance hierarchies of the West be competent when at the very point of Peterson’s peak fame, they are occupied by Trump, a sophist, a marketer, a chronic liar with no internal life, no self-reflection, who will hand over all his wealth to unremarkable, unspecial, mediocre children? The Trump children earned nothing but by virtue of birth, and yet they are in possession of the keys to the world in ways ordinary lowborn people will never experience. How is this not a fundamental, fatal corruption of hierarchy, existing at the pinnacle of the world’s power? Peterson avoids speaking about Trump for this reason: it would force him to admit that liberal capitalism dissolves, finally, into a kind of madness. Decrying left-right polarization, Peterson upholds a center: that center is capitalist realism. The theorist Mark Fisher wrote a whole book about ‘Capitalist Realism’, the notion that social contract capitalism is the final system of economic-political life, and that’s simply that. Except Fisher rejected it, because capitalism destroys community, tradition and culture. It monetizes all these things and produces economically workshopped monoculture. Is it truly heroic to live in a circle for all of existence, the economization of perpetual Star Wars films serving as the only permanent narrative link between us? That is what Nietzsche’s ‘time is a flat circle’ meant – and it is a kind of hell. A world defined by those who purchased it two generations ago is no treading ground for heroes. Of that, I am certain. Jordan Peterson lives doing what he loves. He makes a fortune off of Patreon and his new book. There is nothing wrong with that – he played the right game. He lived a life of the mind and was paid for it. The upcoming generation will not know what that feels like. University tenure is a non-starter. Being paid to write means working full-time in retail or food service, and not just throughout one’s 20s. Perhaps for one’s entire life. Monetizing a life of the mind is extremely rare. At Peterson’s lecture, I was surrounded by intensely bright, thoughtful young people, mostly young men. But how many of them will get to live a satisfying life of the mind? How many will instead work in offices, and ultimately aspire toward a more fulfilling life than the conditions of an impersonal network of capital that we are supposed to believe is in any way mythically inspired? I suspect that a new generation of Cains will arise out of the low-wage workers who thought they were promised something better. When we reach the Biblical stories, we reach deeper problems. Equating Earthly success to playing the right game and achieving the good is, in essence, no better than Oprah’s prosperity gospel. People succeed off of bad ideas all the time. Worse, there are bad ideas we don’t even understand are bad, and are structurally incapable of facing. Here’s one: Professor Peterson gave the example of a person buying land, building a factory, and employing others as a total net good. But what if the factory creates irresolvable climate change over the course of 250+ years and sabotages future generations? What if the factory multiplies and creates a monoculture, stifling all new voices and claiming the globe, as Amazon and Google seek to do? When James Damore was fired by Google, Dr. Peterson was rightfully upset. But this is the consequence of prioritizing economics above culture and spirit – economic entities can slaughter free expression. That is entirely left out of a capitalist’s worldview. In fact, by merely writing controversial material, one can be rightfully denied a job by property owners. Fans of Peterson know as well as I do the deep taboos that linger in science. The subject of IQ alone will ruin lives – if intelligence is the predicate of a good life, and only a minority of us will have high IQs, what is to become of the bulk of us? Well, we will merely be followers, members of a herd. That, again, is no hero’s journey. I always feel put-off by audiences. I felt frankly alienated, when Dr. Peterson said that rule-breaking, criminal children, if not addressed by the ages of 3 or 4, will be rule-breakers for their entire lives and ultimately end up in jail. Peterson’s words didn’t disgust me, but rather, the audience’s reaction did – it was laughter. We are talking about the doom and mass incarceration of millions of lives. We are talking about fate inscribed in biology – and the audience finds pause to laugh it off as just ‘unruly children are funny’? Perhaps they’re not taking this seriously. Perhaps the depths of this problem aren’t fully understood. Peterson simultaneously argues for self-improvement in the game of atomized profit-seeking, but also that one’s genes largely determine intelligence and the qualities of success, i.e., disagreeableness, conscientiousness, and so on. Monetizing one’s creativity is largely an expression of personality – intelligence plus conscientiousness, with disagreeableness tossed in to ensure you keep coming out on top of negotiations. If you are born without that cocktail, you must work against your own brain where others have a smooth ride. The same is ultimately true in relation to identity. You can tell black people to pull up their bootstraps all you want – but ultimately, if you don’t understand that black people today bear the culture and last names of their former slave owners, and according to certain insane IQ studies, have a lower IQ on average than whites (a claim that debunks meritocracy and individualism in one swoop), you must prepare for the consequences. You must prepare for moral rebellion. What would you do in their situation? Every anxiety compounded by identity-wounds? It would be a hell that young white men do not face. And imagine being transgender and dealing with the world! Peterson is right to say that you must face the world, no matter what – but also wrong to defend the free market and suggest that pulling up your bootstraps is the only mode of life in which responsibility may properly manifest in individuals. The conservative desire for a totally brutal, independent society for ordinary citizens, while enabling state subsidies and legal tax evasion schemes (Apple pays no taxes) for the wealthy, is an infuriating double standard upheld by centrist capitalism. In a Quora question from years ago, the Professor once argued against universal health care, saying that it is wrong to ‘force’ the hands of doctors, the same line of argument used by Ben Shapiro. I will never understand this in any sense. If you are paid, you have to do work, whether it’s a private or public hospital. Either way, declining work means getting fired. There is no real distinction in ‘forced’ labor here. Of what use are our myths if we share no common community worth funding, for those who would otherwise be bankrupted by their bills? If you say churches or local organizations should provide these services, then see to it that megachurches provide anything at all from their coffers. I guarantee you these ‘Christians’ will cling to their purse strings. On the topic of transgender people, I split in certain ways with Peterson. As I understand it, he is only opposed to the legal requirement to adhere to proper pronouns, which I understand. I reject state authority as well. But what is the transgender individual, at a deeper level? At its core, it is an attempt to break free from the constraints of biology and achieve ‘one’ where previously there were two. This is a good thing. I see much hope in the transgender movement. And it is mythologically driven. For all that Peterson speaks of the Bible, so far, he leaves out one vital figure, perhaps the most vital figure: Sophia. In Carl Jung’s Answer to Job, Jung calls Sophia the logos itself. He names Sophia the mediator between humankind and God. Who is Sophia? Wisdom. She is the feminine wisdom exiled from the world, because in Gnostic Christian mythology, she created the world without consent from God, and in doing so, created a false God called the Demiurge, and the serpent and the fall. The redemption of the world is the return of Sophia from exile. In his epic work of Christian mysticism, Valentin Tomberg wrote that the complete Holy Trinity is not father-son-holy spirit. In fact, it is the Holy Trinity plus mother, daughter and holy soul. The Holy Trinity, according to the greatest master of Catholic mysticism I have ever read, is actually composed of six parts, not three, and it is feminine and masculine in nature. It is intersex, or both sexes, it is fundamentally androgynous. There is so much we do not yet understand about human identity – why must traditionalists cut off all possibility for transformation out of fear alone? To combine the feminine and the masculine is the goal of all this gender trouble, to make ‘one’ where there is now division. In the Answer to Job, Jung refers to Yahweh, or God himself, as “unconscious”, a monster, a beast of nature. It is only Sophia who is able to create self-reflection through the mediation between Yahweh and Job. it is the feminine out of which the logos is born. If modern feminism is corrupt in spite of this fact, it is because culture itself is corrupt. If the transgender movement is incomplete, it is because it is too political and not enough immersed in the archaic foundations for transforming gender, the mythical synthesis of male and female. But we also have ourselves to blame for removing Sophia entirely from our retellings of the Biblical story – Sophia is the feminine Christ. Without her, there is only cruel and delusional Yahweh, the primal God who shaped the world but who is not fit to run it alone. But in the Q&A after the talk, Peterson explicitly defined the relationship between male and female as that of Christ and Mary. In other words, Mary raises Christ. The purpose of women is not to become heroes, but to raise them. That is impossible for a truly ambitious woman. If I were born a woman, obsessed with these mystical and philosophical questions, I would resent that statement so deeply I may never recover. Peterson’s philosophy is centered, in this way, upon a male subject. In order to redeem the father, the next generation of mythical thinkers must reorient the woman out of this secondary position. Perhaps that entails changing the very biology of childbirth – with artificial wombs, who knows what will follow. The tranhumanist idea must return Sophia to the world, not be finished at the half-answer of Mary. Valentin Tomberg, interestingly enough, spoke of the Mary-Sophia as the ultimate form of the woman. Both raiser of heroes and the hero herself. That is completeness and perfection. Not this half-answer of women in one corner, men in another, men striving, women bearing children. The reason for the fall and the progress of history is to return to Eden with higher values and more complete myths, not merely to repeat the past. Of that I am certain. Lastly, the paradoxes of Genesis are not fully appreciated by Peterson’s focus on Western capitalism, property, and contractual profit-seeking life. Ultimately, success in this world is success of the serpent. That much is clear. Satan, and the serpent, are the Gods of this world. And God obeys the serpent! God listens to evil, and bullies Job. God allows evil to run rampant. And this world, crafted in the image of the serpent, is not the place to lay down and hand over one’s lifeblood. Financial success in this nature, this fallen nature, genetic, cyclical birth-death-birth-death nature, is only temporal. Manipulating the mechanisms of fallen nature to secure a wife and get a job are not the full extent of the hero’s journey. The true extent of the hero’s journey is in solving the problem of the fall. It is the return of Christ crucified to heaven. Now, the Marxists have tried to solve this problem, to create paradise and equality on Earth, and they have failed. But I am still committed to the attempt through means other than Marxism. Finally, Christ himself is the ultimate paradox. I mean, let’s be serious about this. Pontius Pilate and the Romans who crucified Christ were victorious on the dominance hierarchy. Christ was defeated, destroyed. So why, then, is he the maximal expression of the hero in Christian myth? He was crucified by those who did secure wives and careers, and who passed down judgement, and succeed over others. And yet, the man who was destroyed, and not his destroyers, is the ultimate hero. It is because worldly success is not true success. There is a difference. There is absolutely a difference. My ultimate concern with Peterson’s capitalism is that the modern world has become a place ill-suited for heroes, designed to make us dumb, dull and conformist, and he acknowledges this – he sees the difficulty of the situation, but it is the young, careerless and unmarried who will truly have to figure out a solution. In truth, we will be the ones who face it. The young, those who grew up immersed in the virtual, and the chaotic fragmentation of the decaying liberal order under Donald Trump. That is our inheritance – not the Cold War, not cultural Marxism. Those are both side-shows that make us feel good about our own cultural signaling, while resolving virtually nothing. At the Q&A, two people who asked questions were indicative of madness. One of them opened the question session by asking why Jews have been trying to destroy Russia for two-hundred years. Peterson, wisely, said “I can’t do it”. Touching that question is touching a fine sprinkled dust born of unkempt hair, the aesthetic of the alt-right, But another questioner was taken seriously, though he bothered me immensely. All I could think when he spoke was “Joseph McCarthy”. This kid asked Peterson: “How can we tell the difference between the Marxists trying to destroy Western civilization and the useful idiots?” Some in the crowd cheered. I saw the true nature of that question – authoritarianism. Let’s not be deluded by present culture wars – the right is just as authoritarian as the left, and more successful at implementing its ideas. The original dissident intellectual was the Western leftist. The pendulum will always swing back and forth, and the only way to reject it is to reject the mindset of these damn inquisitors. Yes, I’ve got problems with Western civilization. I live because there are problems to be solved. They are major problems. If the structure is good enough so that nothing major must be changed, then I was born after history ended, and will simply work my way to a cyclical grave. No. I’d rather make a world fit for heroes. What is a hero? Someone who redeems the blind sight of the past and renews myth by speaking the truth. Well, the truth is that the world of fetishizing Earthly games as a path to goodness and truth is the world that leads to a monoculture dictated by Google, Amazon and Facebook. Individuals unrestrained by mythical truth, modern capitalists, have transformed their ideas into leviathans more massive and powerful than any idea can functionally be. If Jordan Peterson opposes communism, he must also oppose the corporate communism of a world split between a handful of companies that determine the communications, ideas and structure of the world. And that corporate communism is the consequence of believing that classical liberal capitalism is the only way we can possibly live. One entrepreneur, with one idea, one hero – Mark Zuckerberg? No. Something went wrong. He is no Hercules. The myth has degenerated into marketing. It must be made into something more. Jordan Bernt Peterson (born June 12, 1962) is a Canadian clinical psychologist, cultural critic, and professor of psychology at the University of Toronto. His main areas of study are in abnormal, social, and personality psychology, with a particular interest in the psychology of religious and ideological belief, and the assessment and improvement of personality and performance. Peterson studied at the University of Alberta and McGill University. He remained at McGill as a post-doctoral fellow from 1991 to 1993 before moving to Harvard University, where he was an assistant and an associate professor in the psychology department. In 1998, he moved to the University of Toronto as a full professor. His first book Maps of Meaning: The Architecture of Belief was published in 1999, a work which examined several academic fields to describe the structure of systems of beliefs and myths, their role in the regulation of emotion, creation of meaning, and motivation for genocide. His second book, 12 Rules for Life: An Antidote to Chaos, was released in January 2018. In 2016, Peterson released a series of videos on his YouTube channel in which he criticized political correctness and the Canadian government’s Bill C-16. He subsequently received significant media coverage. Peterson was born on June 12, 1962, and grew up in Fairview, Alberta, a small town northwest of his birthplace Edmonton, in Canada. He was the eldest of three children born to Beverley, a librarian at the Fairview campus of Grande Prairie Regional College, and Walter Peterson, a schoolteacher. His middle name is Bernt (/bɛərnt/ BAIRNT), after his Norwegian great-grandfather. When he was 13, he was introduced to the writings of George Orwell, Aldous Huxley, Aleksandr Solzhenitsyn, and Ayn Rand by his school librarian Sandy Notley – mother of Rachel Notley, leader of the Alberta New Democratic Party and 17th Premier of Alberta. He also worked for the New Democratic Party (NDP) throughout his teenage years, but grew disenchanted with the party due to what he saw as a preponderance of “the intellectual, tweed-wearing middle-class socialist” who “didn’t like the poor; they just hated the rich”. He left the NDP at age 18. After graduating from Fairview High School in 1979, Peterson entered the Grande Prairie Regional College to study political science and English literature. He later transferred to the University of Alberta, where he completed his B.A. in 1982. Afterwards, he took a year off to visit Europe. There he developed an interest in the psychological origins of the Cold War, particularly 20th century European totalitarianism, and was plagued by apocalyptic nightmares about the escalation of the nuclear arms race. As a result, he became concerned about mankind’s capacity for evil and destruction, and delved into the works of Carl Jung, Friedrich Nietzsche, Aleksandr Solzhenitsyn, and Fyodor Dostoyevsky. He then returned to the University of Alberta and received a B.A. in psychologyin 1984. In 1985, he moved to Montreal to attend McGill University. He earned his Ph.D. in clinical psychology under the supervision of Robert O. Pihl in 1991, and remained as a post-doctoral fellow at McGill’s Douglas Hospital until June 1993, working with Pihl and Maurice Dongier. From July 1993 to June 1998, Peterson lived in Arlington, Massachusetts, while teaching and conducting research at Harvard University as an assistant and an associate professor in the psychology department. During his time at Harvard, he studied aggressionarising from drug and alcohol abuse and supervised a number of unconventional thesis proposals. Two former Ph.D. students, Shelley Carson, a psychologist and teacher from Harvard, and author Gregg Hurwitz recalled that Peterson’s lectures were already highly admired by the students. In July 1998, he returned to Canada and took up a post as a full professor at the University of Toronto. Peterson’s areas of study and research are in the fields of psychopharmacology, abnormal, neuro, clinical, personality, social, industrial and organizational, religious, ideological, political, and creativity psychology. Peterson has authored or co-authored more than a hundred academic papers. Peterson has over 20 years of clinical practice, seeing 20 people a week, but in 2017, he decided to put the practice on hold because of new projects. In 2004, a 13-part TV series based on Peterson’s book Maps of Meaning: The Architecture of Belief aired on TVOntario. He has also appeared on that network on shows such as Big Ideas, and as a frequent guest and essayist on The Agenda with Steve Paikin since 2008. Something we cannot see protects us from something we do not understand. The thing we cannot see is culture, in its intrapsychic or internal manifestation. The thing we do not understand is the chaos that gave rise to culture. If the structure of culture is disrupted, unwittingly, chaos returns. We will do anything – anything – to defend ourselves against that return. In 1999, Routledge published Maps of Meaning: The Architecture of Belief. The book, which took Peterson 13 years to complete, describes a comprehensive theory about how people construct meaning, beliefs and make narratives using ideas from various fields including mythology, religion, literature, philosophy and psychology in accordance to the modern scientific understanding of how the brain functions. According to Peterson, his main goal was to examine why both individuals and groups participate in social conflict, explore the reasoning and motivation individuals take to support their belief systems (i.e. ideological identification) that eventually results in killing and pathological atrocities like the Gulag, the Auschwitz concentration camp and the Rwandan genocide. He considers that an “analysis of the world’s religious ideas might allow us to describe our essential morality and eventually develop a universal system of morality”. 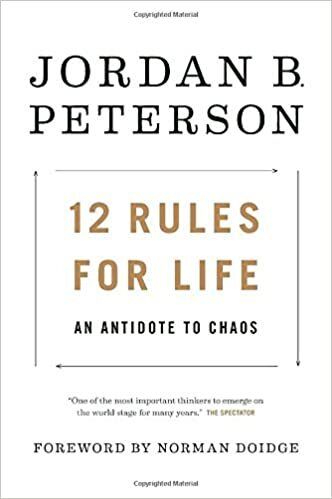 In January 2018, Penguin Random House published Peterson’s second book, 12 Rules for Life: An Antidote to Chaos. The work contains abstract ethical principles about life, in a more accessible style than Maps of Meaning. To promote the book, Peterson went on a world tour. As part of the tour, Peterson was interviewed by Cathy Newman on Channel 4 News. In a short time the interview received considerable attention and over seven million views on YouTube. The book was ranked the number one bestselling book on Amazon in the United States and Canada and number four in the United Kingdom. It also topped bestselling lists in Canada, US and the United Kingdom. In 2013, Peterson began recording his lectures (“Personality and Its Transformations”, “Maps of Meaning: The Architecture of Belief”) and uploading them to YouTube. His YouTube channel has gathered more than 800,000 subscribers and his videos have received more than 35 million views as of January 2018. In January 2017, he hired a production team to film his psychology lectures at the University of Toronto. He used funds received via the crowd-sourced funding website Patreon after he became embroiled in the Bill C-16 controversy in September 2016. His funding through Patreon has increased from $1,000 per month in August 2016 to $14,000 by January 2017 to more than $50,000 by July 2017. 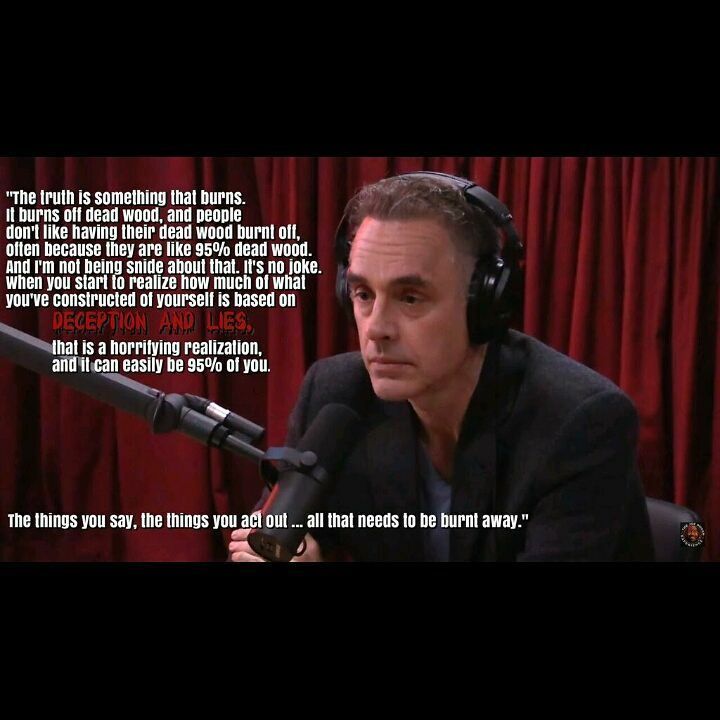 Peterson has appeared on The Joe Rogan Experience, The Gavin McInnes Show, Steven Crowder‘s Louder with Crowder, Dave Rubin‘s The Rubin Report, Stefan Molyneux‘s Freedomain Radio, h3h3Productions‘s H3 Podcast, Sam Harris‘s Waking Up podcast, Gad Saad‘s The Saad Truth series and other online shows. 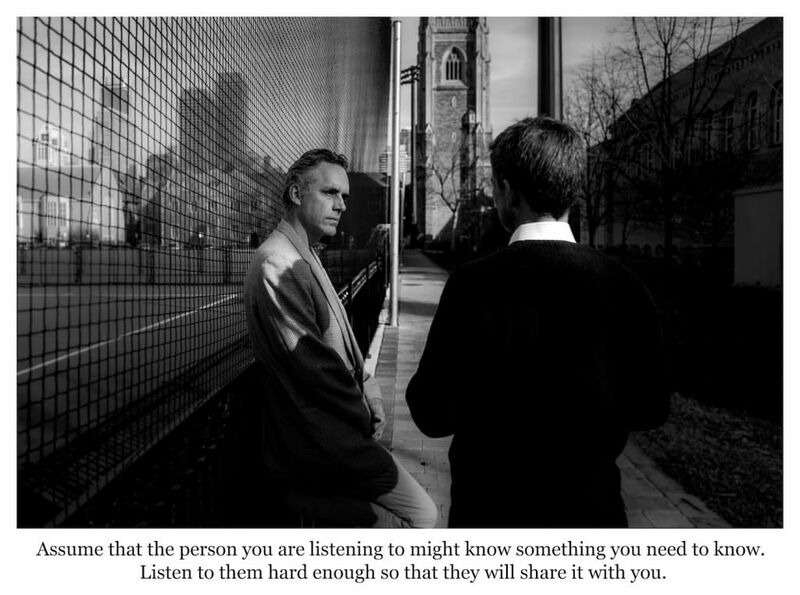 In December 2016, Peterson started his own podcast, The Jordan B. Peterson Podcast, which has 39 episodes as of February 20, 2018, including academic guests such as Camille Paglia, Martin Daly, and James W. Pennebaker, while on his channel he has also interviewed Stephen Hicks, Richard J. Haier, and Jonathan Haidt among others. Peterson supported engineer James Damore in his action against Google. In May 2017, Peterson began The Psychological Significance of the Biblical stories, a series of live theatre lectures, also published as podcasts, in which he analyzes archetypal narratives in Genesis as patterns of behavior vital for personal, social and cultural stability. Peterson and his colleagues Robert O. Pihl, Daniel Higgins, and Michaela Schippers produced a writing therapy program with series of online writing exercises, titled the Self Authoring Suite. It includes the Past Authoring Program, a guided autobiography; two Present Authoring Programs, which allow the participant to analyze their personality faults and virtues in terms of the Big Five personality model; and the Future Authoring Program, which guides participants through the process of planning their desired futures. The latter program was used with McGill University undergraduates on academic probation to improve their grades, as well since 2011 at Rotterdam School of Management, Erasmus University. The Self Authoring Programs were developed partially from research by James W. Pennebaker at the University of Texas at Austin and Gary Latham at the Rotman School of Management of the University of Toronto. Pennebaker demonstrated that writing about traumatic or uncertain events and situations improved mental and physical health, while Latham demonstrated that personal planning exercises help make people more productive. According to Peterson, more than 10,000 students have used the program as of January 2017, with drop-out rates decreasing by 25% and GPAs rising by 20%. Peterson’s critiques of political correctness range over issues such as postmodernism, postmodern feminism, white privilege, cultural appropriation, and environmentalism. Writing in the National Post, Chris Selley said Peterson’s opponents had “underestimated the fury being inspired by modern preoccupations like white privilege and cultural appropriation, and by the marginalization, shouting down or outright cancellation of other viewpoints in polite society’s institutions”, while in The Spectator, Tim Lottstated Peterson became “an outspoken critic of mainstream academia”. Peterson’s social media presence has magnified the impact of these views; Simona Chiose of The Globe and Mail noted: “few University of Toronto professors in the humanities and social sciences have enjoyed the global name recognition Prof. Peterson has won”. According to his study – conducted with one of his students, Christine Brophy – of the relationship between political belief and personality, political correctness exists in two types: PC-Egalitarianism and PC-Authoritarianism, which is a manifestation of “offense sensitivity”. The first type is represented by a group of classical liberals, while the latter by the group known as “social justice warriors“ who “weaponize compassion“. The study also found an overlap between PC-authoritarians and right-wing authoritarians. Peterson considers that the universities should be held as among the most responsible for the wave of political correctness which appeared in North America and Europe. He watched the rise of political correctness on campuses since the early 1990s, and considers that the humanities have become corrupt, less reliant on science, and instead of “intelligent conversation, we are having an ideological conversation”. From his own experience as a university professor, he states that the students who are coming to his classes are uneducated and unaware about the mass exterminations and crimes by Stalinism and Maoism, which were not given the same attention as fascism and Nazism. He also says that “instead of being ennobled or inculcated into the proper culture, the last vestiges of structure are stripped from [the students] by post-modernism and neo-Marxism, which defines everything in terms of relativism and power“. And so since the 1970s, under the guise of postmodernism, we’ve seen the rapid expansion of identity politics throughout the universities, it’s come to dominate all of the humanities – which are dead as far as I can tell – and a huge proportion of the social sciences … We’ve been publicly funding extremely radical, postmodern leftist thinkers who are hellbent on demolishing the fundamental substructure of Western civilization. And that’s no paranoid delusion. That’s their self-admitted goal … Jacques Derrida … most trenchantly formulated the anti-Western philosophy that is being pursued so assiduously by the radical left. Peterson believes that postmodern philosophers and sociologists since the 1960s, while typically claiming to reject Marxism and Communism, because they were discredited as economic ideologies as well by the exposure of crimes in the Soviet Union, have actually built upon and extended their core tenets. He states that it is difficult to understand contemporary society without considering the influence of postmodernism which initially spread from France to the United States through the English department at Yale University. He argues that they “started to play a sleight of hand, and instead of pitting the proletariat, the working class, against the bourgeois, they started to pit the oppressed against the oppressor. That opened up the avenue to identifying any number of groups as oppressed and oppressor and to continue the same narrative under a different name … The people who hold this doctrine – this radical, postmodern, communitarian doctrine that makes racial identity or sexual identity or gender identity or some kind of group identity paramount – they’ve got control over most low-to-mid level bureaucratic structures, and many governments as well”. He emphasizes that the state should halt funding to faculties and courses he describes as neo-Marxist, and advises students to avoid disciplines like women’s studies, ethnic studies and racial studies, as well other fields of study he believes are “corrupted” by the ideology such as sociology, anthropology and English literature. He states that these fields, under the pretense of academic inquiry, propagate unscientific methods, fraudulent peer-review processes for academic journals, publications that garner zero citations, cult-like behaviour, safe-spaces, and radical left-wing political activism for students. Peterson has proposed launching a website which uses AI to identify and showcase the amount of ideologization in specific courses. He announced in November 2017 that he had temporarily postponed the project as “it might add excessively to current polarization”. Peterson has criticized the use of the term “white privilege“, stating that, “being called out on their white privilege, identified with a particular racial group and then made to suffer the consequences of the existence of that racial group and its hypothetical crimes, and that sort of thing has to come to a stop. … [It’s] racist in its extreme”. In response to the 2017 protest in Charlottesville, Virginia, he criticized the far right‘s use of identity politics, and said that “the Caucasians shouldn’t revert to being white. It’s a bad idea, it’s a dangerous idea, and it’s coming fast, and I don’t like to see that!” He stated that the notion of group identity is “seriously pathological … reprehensible … genocidal” and “it will bring down our civilization if we pursue it”. He has also been prominent in the debate about cultural appropriation, stating it promotes self-censorship in society and journalism. 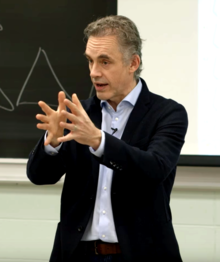 On September 27, 2016, Peterson released the first installment of a three-part lecture video series, entitled “Professor against political correctness: Part I: Fear and the Law”. In the video, he stated he would not use the preferred gender pronouns of students and faculty as part of compelled speech, and announced his objection to the Canadian government‘s Bill C-16, which proposed to add “gender identity or expression” as a prohibited ground of discrimination under the Canadian Human Rights Act, and to similarly expand the definitions of promoting genocide and publicly inciting hatred in the Criminal Code. He stated that his objection to the bill was based on potential free speech implications if the Criminal Code is amended, as he claimed he could then be prosecuted under provincial human rights laws if he refuses to call a transsexual student or faculty member by the individual’s preferred pronoun. Furthermore, he argued that the new amendments paired with section 46.3 of the Ontario Human Rights Code would make it possible for employers and organizations to be subject to punishment under the code if any employee or associate says anything that can be construed “directly or indirectly” as offensive, “whether intentionally or unintentionally”. Other academics challenged Peterson’s interpretation of C-16, while some scholars such as Robert P. George supported Peterson’s initiative. I will never use words I hate, like the trendy and artificially constructed words “zhe” and “zher.” These words are at the vanguard of a post-modern, radical leftist ideology that I detest, and which is, in my professional opinion, frighteningly similar to the Marxist doctrines that killed at least 100 million people in the 20th century. I have been studying authoritarianism on the right and the left for 35 years. I wrote a book, Maps of Meaning: The Architecture of Belief, on the topic, which explores how ideologies hijack language and belief. As a result of my studies, I have come to believe that Marxism is a murderous ideology. I believe its practitioners in modern universities should be ashamed of themselves for continuing to promote such vicious, untenable and anti-human ideas, and for indoctrinating their students with these beliefs. I am therefore not going to mouth Marxist words. That would make me a puppet of the radical left, and that is not going to happen. Period. In response to the controversy, academic administrators at the University of Toronto sent Peterson two letters of warning, one noting that free speech had to be made in accordance with human rights legislation and the other adding that his refusal to use the preferred personal pronouns of students and faculty upon request could constitute discrimination. Peterson speculated that these warning letters were leading up to formal disciplinary action against him, but in December the university assured him that he would retain his professorship, and in January 2017 he returned to teach his psychology class at the University of Toronto. In February 2017, Maxime Bernier, candidate for leader of the Conservative Party of Canada, stated that he shifted his position on Bill C-16 after meeting with Peterson and discussing it. Peterson’s analysis of the bill was also frequently cited by senators who were opposed to its passage. In April 2017, Peterson was denied a Social Sciences and Humanities Research Council grant for the first time in his career, which he interpreted as retaliation for his statements regarding Bill C-16. A media relations adviser for SSHRC said “[c]ommittees assess only the information contained in the application”. In response, The Rebel Media launched an Indiegogo campaign on Peterson’s behalf. The campaign raised $195,000 by its end on May 6, equivalent to over two years of research funding. In May 2017, Peterson spoke against Bill C-16 at a Senate committee on legal and constitutional affairs hearing. He was one of 24 witnesses who were invited to speak on the bill. In August 2017, an announced event at Ryerson University titled “The Stifling of Free Speech on University Campuses”, organized by former social worker Sarina Singh with panelists Peterson, Gad Saad, Oren Amitay, and Faith Goldy was shut down because of pressure on the university administration from the group “No Fascists in Our City”. However, another version of the panel (without Goldy) was held on November 11 at Canada Christian College with an audience of 1,500. In November 2017 a teaching assistant (TA) at Wilfrid Laurier University (WLU) was censured by her professors and WLU’s Manager of Gendered Violence Prevention and Support for showing a segment of The Agenda, which featured Peterson debating Bill C-16, during a classroom discussion. The reasons given for the censure included the clip creating a “toxic climate” and being itself in violation of Bill C-16. The case was criticized by several newspaper editorial boards and national newspaper columnists as an example of the suppression of free speech on university campuses. WLU announced a third-party investigation. After the release of the audio recording of the meeting in which the TA was censured, WLU President Deborah MacLatchy and the TA’s supervising professor Nathan Rambukkana published letters of formal apology. According to the investigation no students had complained about the lesson, there was no informal concern related to Laurier policy, and according to MacLatchy the meeting “never should have happened at all”. Peterson married Tammy Roberts in 1989. They have one daughter and one son. He became a grandfather in August 2017. Politically, Peterson has described himself as a classic British liberal. He is a philosophical pragmatist. In a 2017 interview, Peterson identified as a Christian, but in 2018 he did not. He emphasized his conceptualization of Christianity is probably not what it is generally understood, stating that the ethical responsibility of a Christian is to imitate Christ, for him meaning “something like you need to take responsibility for the evil in the world as if you were responsible for it … to understand that you determine the direction of the world, whether it’s toward heaven or hell”. When asked if he believes in God, Peterson responded: “I think the proper response to that is No, but I’m afraid He might exist”. Writing for The Spectator, Tim Lott said Peterson draws inspiration from Jung’s philosophy of religion, and holds views similar to the Christian existentialism of Søren Kierkegaard and Paul Tillich. Lott also said Peterson has respect for Taoism, as it views nature as a struggle between order and chaos, and posits that life would be meaningless without this duality. Peterson, Jordan B. (1999). Maps of Meaning: The Architecture of Belief. Routledge. ISBN 0415922224. Peterson, Jordan B. (2018). 12 Rules for Life: An Antidote to Chaos. Penguin Random House. ISBN 0345816021. Peterson J. B.; Rothfleisch J.; Zalazo P.; Pihl R. O. (1990). “Acute alcohol intoxication and cognitive functioning”. Journal of Studies on Alcohol. 51 (2): 114–122. doi:10.15288/jsa.1990.51.114. Pihl R. O.; Peterson J. B.; Finn P. R. (1990). “Inherited Predisposition to Alcoholism: Characteristics of Sons of Male Alcoholics”. Journal of Abnormal Psychology. 99 (3): 291–301. doi:10.1037/0021-843X.99.3.291. Pihl R. O.; Peterson J. B.; Lau M. A. (1993). “A biosocial model of the alcohol-aggression relationship”. Journal of Studies on Alcohol, Supplement. 11 (11): 128–139. doi:10.15288/jsas.1993.s11.128. Stewart S. H.; Peterson J. B.; Pihl R. O. (1995). “Anxiety sensitivity and self-reported alcohol consumption rates in university women”. Journal of Anxiety Disorders. 9 (4): 283–292. doi:10.1016/0887-6185(95)00009-D.
Peterson J. B.; Smith K. W.; Carson S. (2002). “Openness and extraversion are associated with reduced latent inhibition: replication and commentary”. Personality and Individual Differences. 33 (7): 1137–1147. doi:10.1016/S0191-8869(02)00004-1. DeYoung C. G.; Peterson J. B.; Higgins D. M. (2002). “Higher-order factors of the Big Five predict conformity: Are there neuroses of health?”. Personality and Individual Differences. 33 (4): 533–552. doi:10.1016/S0191-8869(01)00171-4. Carson S. H.; Quilty L. C.; Peterson J. B. (2003). “Decreased Latent Inhibition Is Associated With Increased Creative Achievement in High-Functioning Individuals”. Journal of Personality and Social Psychology. 85 (3): 499–506. doi:10.1037/0022-3514.85.3.499. DeYoung C. G.; Peterson J. B.; Higgins D. M. (2005). “Sources of openness/intellect: cognitive and neuropsychological correlates of the fifth factor of personality”. Journal of Personality. 73 (5): 825–858. doi:10.1111/j.1467-6494.2005.00330.x. Carson S. H.; Quilty L. C.; Peterson J. B. (2005). “Reliability, Validity, and Factor Structure of the Creative Achievement Questionnaire”. Creativity Research Journal. 17 (1): 37–50. doi:10.1207/s15326934crj1701_4. Mar R. A.; Oatley K.; Hirsh J. B.; Paz J. D.; Peterson J. B. (2006). “Bookworms versus nerds: Exposure to fiction versus non-fiction, divergent associations with social ability, and the simulation of fictional social worlds”. Journal of Research in Personality. 40 (5): 694–712. doi:10.1016/j.jrp.2005.08.002. DeYoung C. G.; Quilty L. C.; Peterson J. B. (2007). “Between Facets and Domains: 10 Aspects of the Big Five”. Journal of Personality and Social Psychology. 93 (5): 880–896. doi:10.1037/0022-3514.93.5.880. Mar R. A.; Oatley K.; Peterson J. B. (2009). “Exploring the link between reading fiction and empathy: Ruling out individual differences and examining outcomes”. The European Journal of Communication Research. 34 (4): 407–429. doi:10.1515/COMM.2009.025. Hirsh J. B.; DeYoung C. G.; Xu X.; Peterson J. B. (2010). “Compassionate Liberals and Polite Conservatives: Associations of Agreeableness With Political Ideology and Moral Values”. Personality and Social Psychology Bulletin. 95 (2): 655–664. doi:10.1177/0146167210366854. Morisano D.; Hirsh J. B.; Peterson J. B.; Pihl R. O.; Shore B. M. (2010). “Setting, elaborating, and reflecting on personal goals improves academic performance”. Journal of Applied Psychology. 36 (5): 255–264. doi:10.1037/a0018478. Hirsh J. B.; Mar R. A.; Peterson J. B. (2012). “Psychological Entropy: A Framework for Understanding Uncertainty-Related Anxiety”. Psychological Review. 119 (2): 304–320. doi:10.1037/a0026767.